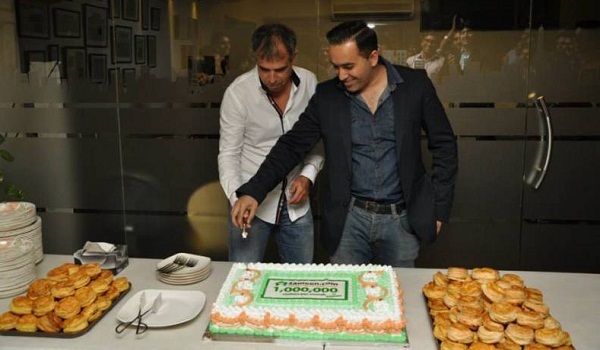 Zameen.com recently celebrated the footfall of more than 1 million visitors per month on the portal. Zameen.com Chairman Mr Gilles Blanchard and Chief Executive Officer cut a cake to celebrate the moment with their staff. The website’s traffic witnessed a year-on-year boom of 166% in November, 2014. In the last few months, Zameen.com has undergone a massive growth, both in terms of services and size. Company’s employees burgeoned to over 200, and it has opened offices in all the major cities of Pakistan.